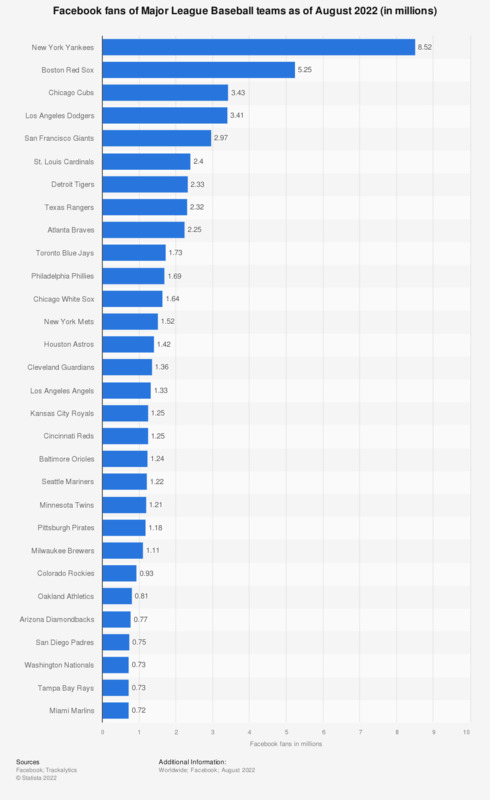 This statistic ranks the most popular teams in Major League Baseball, by the number of fans on Facebook as of April 2019. With 8.6 million fans, the New York Yankees have the most followed MLB team account on Facebook. n 2018, the teams in Major League Baseball are valued at an average of 1.64 billion U.S. dollars. Total MLB league revenue in 2017 amounted to 9.46 billion U.S. dollars, the highest ever.